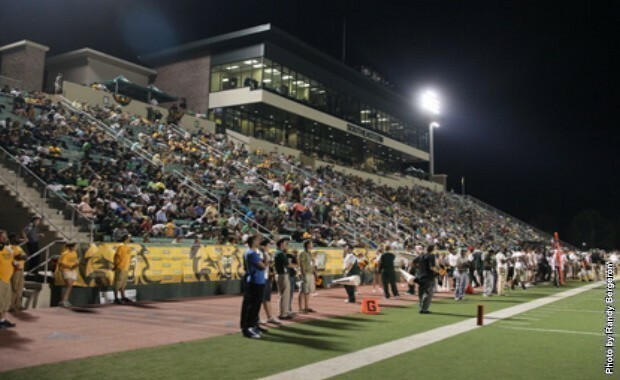 04.27.13 Saying goodbye to Southeastern Louisiana University ~~ GO LIONS! 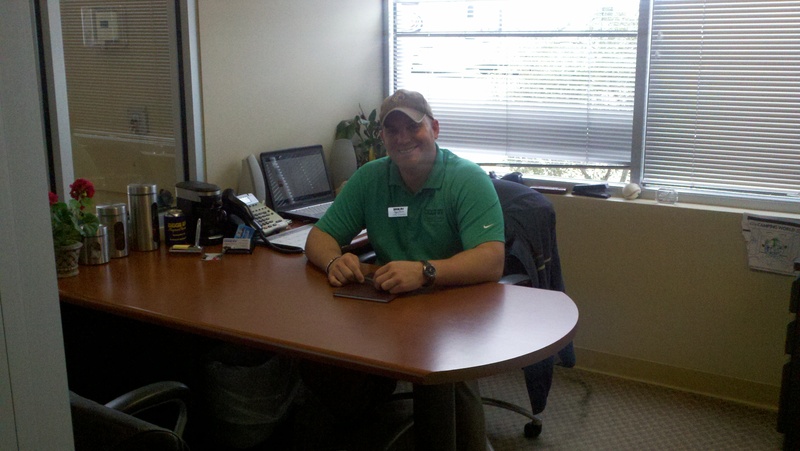 Friday was my last day at work at Southeastern Louisiana University where I’ve worked for almost 15 years. I actually started working there 17 years ago but Roy and I took a two-year leave from full time work to test the waters on flipping houses. We did quite well and then selling the houses became extremely difficult and we decided to go back to full-time real work and both worked at Southeastern for the last 5 years. When I came back I was employed in the same division but not as the Business Manager for the Office of Technologyy. Instead I got to work for my dear friend Donna Methvien as the Telephone Billing and Work Order Coordinator in Telephone/Data Support which is a department under the Office of Technology umbrella. It was lots less stress and responsibility but a lot more work. What made all the work okay was my boss Donna Methvien and the ladies I’ve worked closely with, Cindy LeBlanc, Jacquelyn Wagner, Sandy Miller and Pam Smith. Saying goodbye to them was very hard yet I know we’ll stay in touch and I hope they know I’m just an email, ICQ or phone call away. They have supported me through some very difficult times and cheered along with me through the mostly great times! 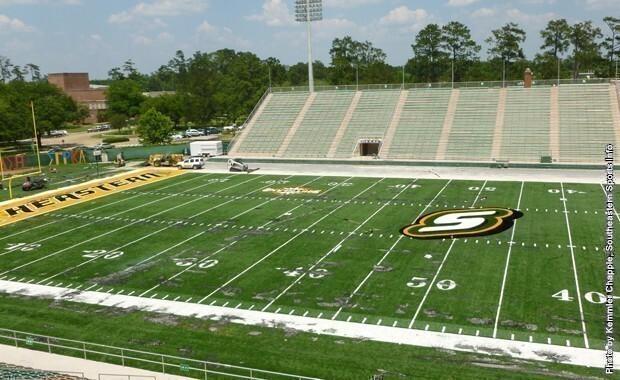 Southeastern has seen some really tough times these last 4-5 years with the budget reductions every six months. I don’t even remember now how many people were laid off campus wide but there have been several in our area alone. In a recent email from our President he shared that there would be more cuts coming up. At this time they don’t know how much but they estimate between $2 million and $22 million. How the university is expected to continue providing excellent education is beyond me. It’s been so depressing to watch more and more people leave and our budgets cut to where some departments cannot even afford ink for their printers or other basic office supplies. 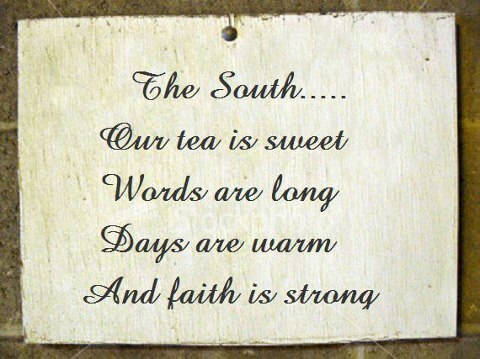 I wish to say thank you to all the Southeastern family who have been such a huge part of my life for so long. Thanks for putting up with my craziness and putting that to the side to be my friend. Many of you called, emailed or stopped by wishing me well on our new adventure and that meant a lot to me. I wish all of you God’s blessings as you continue to strive to give excellent service amidst all the reductions and layoffs. I’ll miss hearing the crack of the bat during baseball season, the band practicing outside during football season, homecoming and the homecoming parade, student events in the Student Union right next door to our office, hearing students practice their musical instruments when walking by an open window in the music building, the convocation picnic each year when we got to see co-workers we didn’t get to see during the year, the beautiful hundred year old oak trees (with moss hanging from the branches) around campus, especially the friendship circle oak, the President’s annual Christmas party, and the cultural events at the Columbia Theatre. 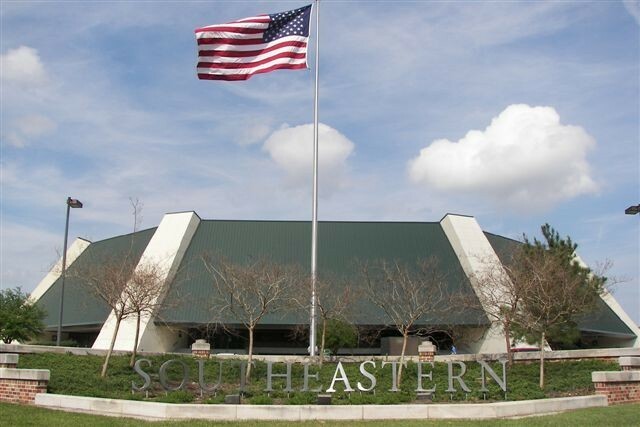 I graduated from Southeastern in 2000 at the age of 45 and am very proud to be a Southeastern Alumni. The teachers were for the most part exceptional reaching out to each student if they needed the assistance. My youngest son Chip is also a Southeastern alumni and we are both thankful for the education we received from this university. To “the girls” and you know who you are. Of course I did write yours names above so everyone else knows who you are. I need to include Becki Starkey and Angelique McIntyre in “the girls group”. A special thanks for letting Roy be a part of the group when we’d go to the movies and when ya’ll would come to our house to watch Twilight movies and eat! It was sweet of ya’ll to let him tag along! We’ve enjoyed a lot of wonderful times together going out to dinner, lunch, and celebrating great moments in our lives. We’ve also shared the intimate details of struggles each of us have been through personally and professionally. You all have been a steady rock of support for me and I thank you from the bottom of my heart for that support and love. Saying goodbye to you all is very hard yet I know each of you knows more about why this is the best thing for us than anyone else could imagine. We’re really looking forward to making new friends with our co-workers when we get to Minnesota but can’t imagine there ever being a group of women I could count on more than you all! Thanks ladies for being the uniquely special women that you are! On April 29, 2013 we became official for real FULL TIME RVers living on the road! The last minute things are wrapped up and everything we’re taking with us is inside the RV or in one of the storage bins underneath and we hit the road around 5:30 pm about 4 hours later than I thought we would. Just signed with Jamie Johnson from Keller Williams as our agent for either selling or renting our house. She’s very energetic and we felt a trusting with her that helped us know she’s the one! On Sunday afternoon Roy’s brother Paul (whom Madisyn is convinced is actually Santa Claus) came to visit to say goodbye. Madisyn was here and she, along with us, thoroughly enjoyed the visit. We ate boiled crawfish Sunday afternoon with Chip and Madisyn and had a great time. Louisiana seafood is the ultimate in fine dining and we will certainly miss it. Saying goodbye to Madisyn for the last time before we leave was extremely heart wrenching. We tried to stay strong while she was there but many tears were shed after she left. Saw my eye doctor for the last time Monday morning and he’s released me so there’s no waiting now. Boots got four new tires and new brakes and a new air bag sensor this week so she’s ready. 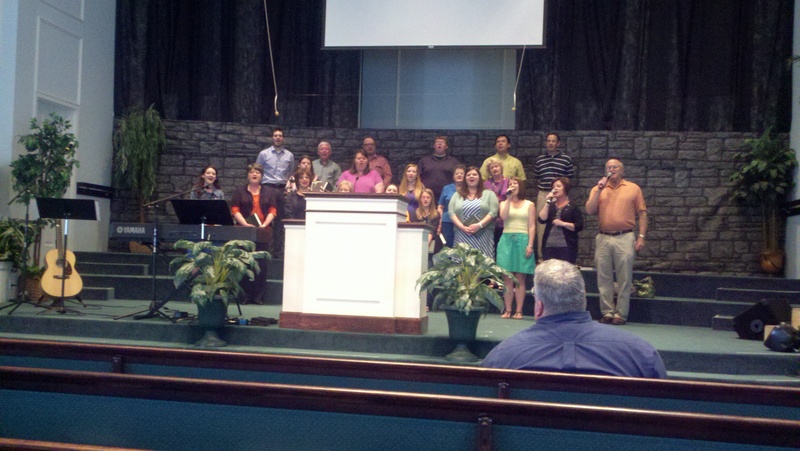 Trinity Baptist Church – we love these guys! Said goodbye Sunday to everyone at our church for 25 plus years, Trinity Baptist Church in Hammond. Saturday and Sunday evening we were blessed to see and hear the music and drama of The Resurrection and the Life presented by the adult choir and the children’s choir. The church was packed Sunday night. The choir sang at their absolute best depicting the last days of Jesus, his death and resurrection. We’ll be visiting many churches in our travels and can’t imagine that we’ll find another choir, at a church our size, with so much God given musical talent. We will miss every member deeply but we know they will always be our home church and we’ll visit them whenever our travels take us near Louisiana. Once we left Hammond we headed to Jackson, Mississippi to visit with my mom’s dear friend Pat Turner. I haven’t seen her in quite a while and was really looking forward to visiting with her. We stayed at Wal-Mart in Jackson and Pat came to see us in the morning, took us to eat at Waffle House and then to see her new home. We both loved her new home and are so happy she’s been able to reduce and not have so much yard to deal with. After our visit we left our luxurious surroundings at Wal-Mart headed towards Arkansas. We don’t know where our next stop will be quite yet but that’s part of the charm of this lifestyle, we don’t really need to make plans, just go! I’m way too organized and too much into planning for this to come naturally but I do believe an old dog can be taught new tricks! Okay after I wrote this I broke down and made reservations in Mountain View, Arkansas. Guess this old dog is resisting some new tricks a bit! As I end this post we’re at a rest area outside of Oxford, MS where Mississippi State University is located. 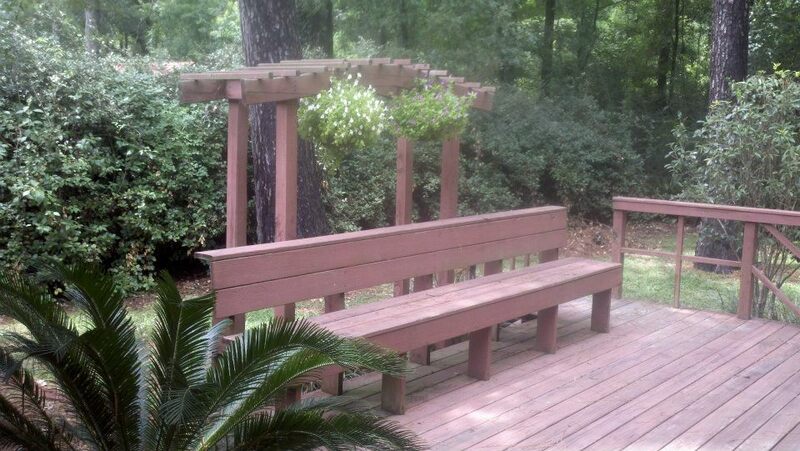 Roy’s taking a nap and I’m headed out to a picnic bench to do my nails! Then on to our next stop! Thanks for joining us as Dora and her Explorers say “see ya’ll later” to Hammond and Louisiana! 04.25.13 You know you’re from Louisiana when…. 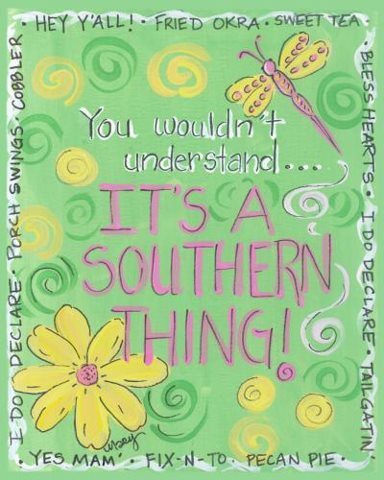 I surely hope those Northern folks will understand us folks from Louisiana. When I read this on a friend’s Facebook page it made me realize how entrenched we are in our New Orleans style of life and how normal we think this all is. Somehow I do not think they will see it the same way! 1. Your sunglasses fog up when you step outside. 2. You reinforce your attic to store Mardi Gras beads. 3. You save newspapers, not for recycling but for tablecloths at crawfish boils. 4. When you give directions you use “lakeside and riverside” not north & south. 5. Your ancestors are buried above the ground. 6. You get on a green trolley car to go to the park and a red one to the French Quarter. 7. You take a bite of five-alarm chili and reach for the Tabasco. 8. Every once in a while, you have waterfront property. 9. You sit down to eat boiled crawfish and your host says, “Don’t eat the dead ones,” and you know what he means. 10. You don’t learn until high school that Mardi Gras is not a national holiday. 11. You push little old ladies out of the way to catch Mardi Gras beads. 12. Little old ladies push YOU out of the way to catch Mardi Gras beads. 13. You leave a parade with footprints on your hands. 14. You believe that purple, green, and gold look good together. 15. And you don’t think twice about eating something which has all three of these colors. In fact, you love it. 16. Your last name isn’t pronounced the way it’s spelled. 17. You know what nutria is but you still pick it to represent your baseball team. 18. No matter where else you go in the world, you are always disappointed in the food. 19. Your town is low on the education chart, high on the obesity chart and you don’t care because you’re No. 1 on the party chart. 20. Your house payment is less than your utility bill. 21. You don’t show your “pretties” during Mardi Gras. 22. You know that Tchoupitoulas is a street and not a disease. 24. Your Santa Claus rides an alligator and your favorite Saint is a football player. 25. You cringe every time you hear an actor with a Southern or Cajun accent in a “New Orleans-based” movie or TV show. 26. You have to reset your clocks after every thunderstorm. 27. You’re walking in the French Quarter with a plastic cup of beer. 28. When it starts to rain, you cover your beer instead of your head. 29. You eat dinner out and spend the entire meal talking about all the other good places you’ve eaten. 30. You decorate your e-mails with purple, green, and gold. 31. You actually get these jokes and pass them on to other friends from Louisiana. This has been a week of saying goodbye and last things before we take to the road next week. Last hair cut from my dear friend Christie Williamson who has cut my hair for many years. I plan on letting my hair grow long and letting the color grow out since I won’t have a wonderful hair stylist like Christie around on the road. Last lunch and visit with my cherished sister Harriett. We don’t get to do that too often now but we always knew we could since we live about 30 minutes from each other. I love her so much and will miss her deeply. Last appointment for Roy and I with our family doctor, Dr. Hugo Valdes, and we’re leaving knowing our health is in great condition and we’re good to roll. Last weekend was our second to last Sunday at our church, Trinity Baptist Church, in Pumpkin Center, Louisiana. This has been our church for 25 plus years. A place where we have a wonderful church family who have supported us through tough times and celebrated with us in all our blessings. Our pastor, Dr. Randy Davis’ sermons are Heavenly inspired and speak to my heart and my conscience every week. Our choir is a group of Christian angels with a deep love for Christ and a desire to sing His praises. I sang with the choir for many years until my asthma just made it impossible to continue. I still know all the words to most of their specials and sing along with them (very quietly of course) each week. I can’t imagine finding a church more perfect for me in our travels. Our last choir dramatic music will be presented this Saturday at 7 pm and Sunday at 7 pm at Trinity Baptist Church at 42062 Pumpkin Center Road. The adult choir, children’s choir and many dramatic actors will present the Resurrection and the Life. We presented this ten years ago when I was singing in the choir and it is one of the most moving depictions of Christ’s last days. Can’t wait to see this from the congregation and I’m so thankful we didn’t need to leave town before this. If you’re in the neighborhood and want a tremendous blessing in song and drama please come join us. You truly won’t believe that a church our size could put on such a wonderful production. This is certainly God’s doing! My last hour at work is in 13.75 hours (who’s counting?!!!). I’ve said goodbye to a bunch of wonderful people around campus this week. A lot of them have kept up with our efforts to get to this point for the last several months by reading our blog so they weren’t surprised when I was able to finally turn in my resignation two weeks ago. Southeastern has wonderful employees who have had to double up on their workload due to the lay offs and cut backs these last four years. They’ve stuck with it and I admire their ability to do that. I had my last lunch with “the girls” at work today when they took me to Trey Yuen. When Friday comes it will be extremely hard to say a real good bye to these ladies each of whom has affected my life in many wonderful ways over these last 15 years. Had our last Papa John’s pizza last night. There are none where we’ll be living the next few months and as remote as we’ll be I doubt we’ll have any pizza delivered either! Tonight we had our last Albany Chicken Tenders. This has been our favorite place to buy the juiciest biggest chicken tenders around town. I’m planning on having Seafood stuffed potatoes from Chookies tomorrow evening for the last time. These last two are local places that we won’t find up north so might as well get them while we’re here. Most important of all our last foods is our last boiled crawfish which we will eat this coming Sunday afternoon with our family. “If you haven’t had crawfish you haven’t lived,” says every true Cajun. We certainly won’t be having this Cajun delicacy up north so we’ve planned to have our last crawfish with our granddaughter Madisyn who discovered them last year and just loved them! Told all of our neighbors good bye this week. 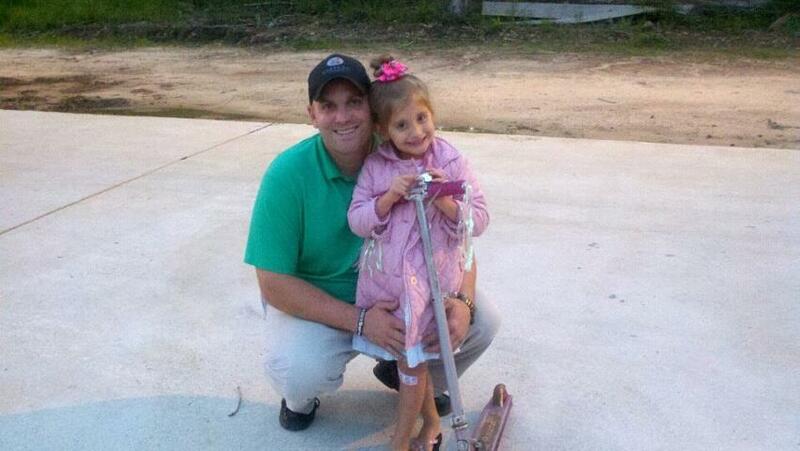 Told precious Elizabeth Halpin goodbye – will miss her little visits and her gifts of food! 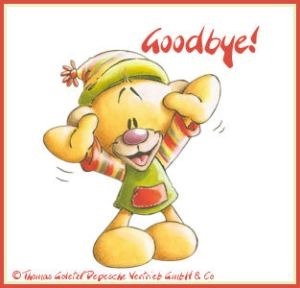 This whole week seems to be a week of saying good bye and a week of lasts. A lot of other things have happened this week but for once I wanted to stick to one topic in my blog. Next week we begin a lifetime of firsts! As sad as it is to say goodbye to so many wonderful people, we know that what lays ahead of us is so full of promise and opportunity! We give God all the glory for getting us here and allowing us to begin this amazing new life! I know he will be with us through the good and the bad in the days ahead. 04.16.13 Countdown to departure – 10 days! Now that we’ve set our departure date of April 30th everything needs to be finalized. The lists are made and added to daily! This past year I’ve had four eye surgeries and now have wonderfully non-cataract, non-floater eyes and no longer wear contacts thanks to Dr. Greiner and Dr. Allison. I’ve had brain tests galore and am back to having a somewhat normal brain for a blonde thanks to Dr. Shamsnia and Dr. Andrews. I’ve seen a couple of doctors at Ochsner in Metairie for other things and they are done with me. They have all released me to live my life and flourish. Now, all that’s left is to have our primary care physician Dr. Valdes do one last blood work and physical for both Roy and I and we’re good to leave Louisiana doctor wise. We’ve already checked with Blue Cross to be sure our healthcare coverage is good all throughout the United States, just like here. We’ve always used a local pharmacy, Scott’s Pharmacy since moving to Hammond. We see them once a month and in between as prescriptions change. They are like family and moving to a national pharmacy is not one we want to do. But we must. I worked with Scott’s to transfer everything to Walgreen’s. I’ll get them filled once more before leaving town to make sure everything got transferred correctly! I would have preferred Wal-Mart (just because of experience with our Walgreen’s here taking forever to get prescriptions filled) but decided against that. The Walgreen’s is about an hour away in Minnesota and Wal-Mart was 3+ hours away. There is one close by in Canada but not knowing what would be involved in getting prescriptions filled there I chose to not go that route. Walgreen’s has our prescriptions now and will mail them to us every three months which will work out perfectly for our new traveling life style. Gonna miss our good old Scott’s Pharmacy but onward we go! After a doctor’s appointment in Covington I stopped by Sam’s to pick up on a “few” things and left $500 lighter! Our new home in Minnesota is in a remote location so I decided to buy at least three months of essential things to prevent those trips to “the front” as Roy puts it in his New Orleans slang. “The front” will be many miles away instead of one or two like here! Sam’s is just my favorite store to buy these mass quantities of food and supplies and the closest is about 2-1/2 hours from our new home. Anyway, if the resort runs out of coffee, sugar, coffee mate, mayonnaise, etc, etc. we can stock them up! Roy and I are both exhausted trying to get so much accomplished now that we have a departure date set. While we’ve been working on this for months there are somethings you cannot do until you know you are leaving. Our list is long and everything on the list is either emotional and/or time consuming. This week Roy has cleaned the RV roof, pressure washed the back porch and sidewalks at our house, cleaned by hand and pressure washed and painted the stain on the huge deck (with benches and trellis) at our rental house, painted some things in our sticks and bricks house, fixed the RV a/c in the dashboard, listed and prepared for shipping at least a dozen things on EBay. My list isn’t as physically demanding but I’ve worked full time every day and also taken care of: consolidated everything in Dora’s storage areas to make room for the new outdoor TV and BBQ pit, pressure washed the garage exterior, created cute business type cards to give to family/friends and new friends we make on the road, went to Sam’s to stock up, stored everything purchased at Sams (quite a task in an RV) cancelled the trash pick up, transferred all our prescriptions, scheduled a grass cutter for our sticks and bricks house, scheduled final doctors appointment and blood work, boxed all the left over computer stuff for The Fuller Center to come pick up, changed our Dish billing to Pay As You Go so we can cancel it the months we don’t need it when we have free cable at campsites. All this in about four days time. No wonder we fall into the bed at night and sleep soundly all night! There are still a few major things to do and I sure hope the pace slows down a bit. At least we have a nice leisurely trip north to look forward to! At work I’m trying to wrap up everything I do so there is nothing left pending. I’ve documented step by step all of my responsibilities and duties. Even with that done, these last few days (trying to make sure all the details are done and teaching my procedures to others) have been grueling. Tomorrow I’m scheduled to teach our Computer Help Desk staff how to answer questions and help the campus community with their telephone needs so they can try to field some of the questions. Once I turned in my resignation I found out that because of all the budget cuts, layoffs and future layoffs they will probably not be able to fill my position. Now one person won’t be doing my work, it may be distributed. After receiving the campus email today telling us that next year’s budget cuts could be (in my words) “catastrophic”, far worse than any of the previous deep cuts, I feel that maybe we’re leaving now on our own terms is a good thing. Southeastern has been a wonderful place to work, however it’s been greatly affected by seriously deep budget cuts since 2009 and for me it’s time to move on. Our precious granddaughter Madisyn spent yesterday evening, last night and this morning with us. We went to the movies to see the 3D The Groods. It was cute and we did what we call “Junkering Up” on the Sno-Caps, popcorn and ice drinks. Then we went to visit her daddy Chip for a while. She spent the night and so did her babies who needed to sleep with us. She helped me with the pressure washing this morning and now that she’s gone I’m crashing for a bit to finish this! Then onto the gardens to get them weeded one last time. We have a lot of flower beds so I’d better get started! 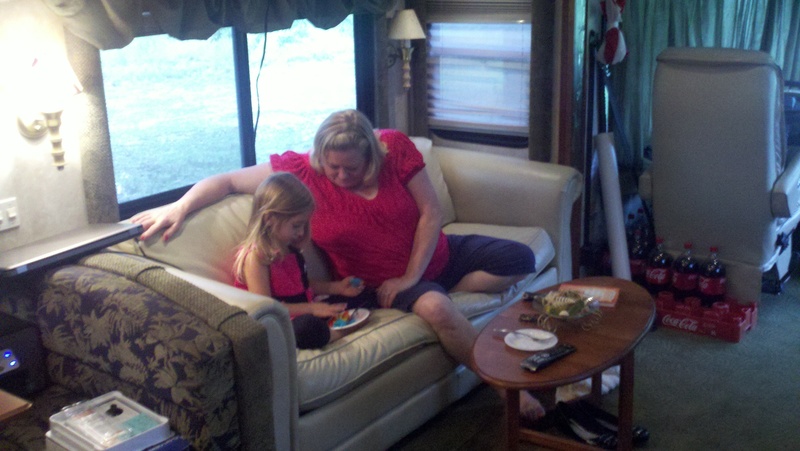 Our first weekend experience at an RV campground was a smashing success! 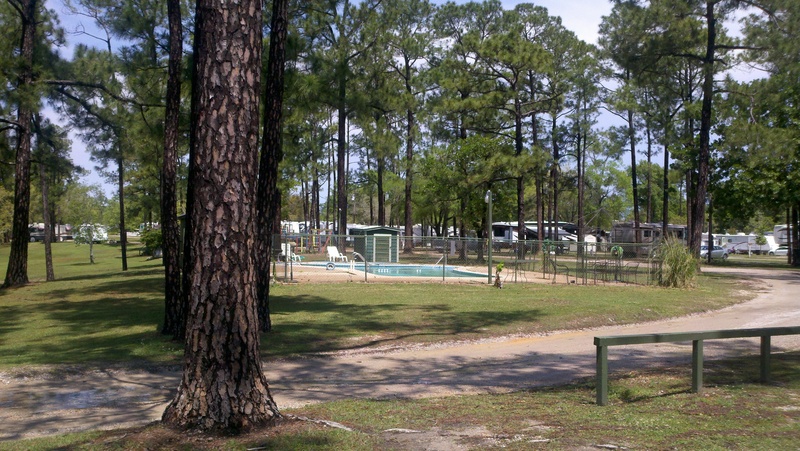 TLC Wolf River Resort in Pass Christian is a nice quiet private campground. We learned a lot about private versus public campgrounds during the presentation we sat through. 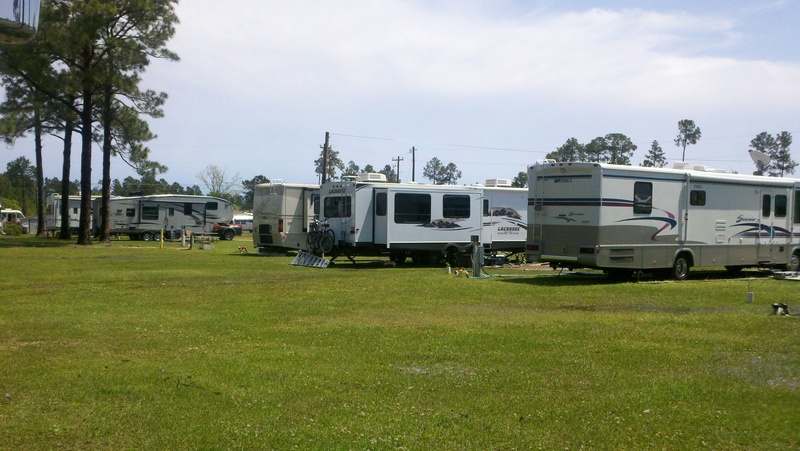 You have to be a member of a campground or network of campground to stay at the private one. Neither of us went into the presentation even considering buying, but that’s what we did. Lots of benefits to a Coast to Coast membership but the most important to us is having 200 campgrounds countrywide that we can stay at for $0 per night and 200 more for only $10 per night. Our trip to Minnesota hasn’t been planned yet but it will include all Coast to Coast campgrounds where possible. It was a new experience for us to set out our big mat and set up our rockers to sit outside under the awning. We’ve seen so many pictures of people doing this and have sat out in our driveway under the awning but never the real experience! 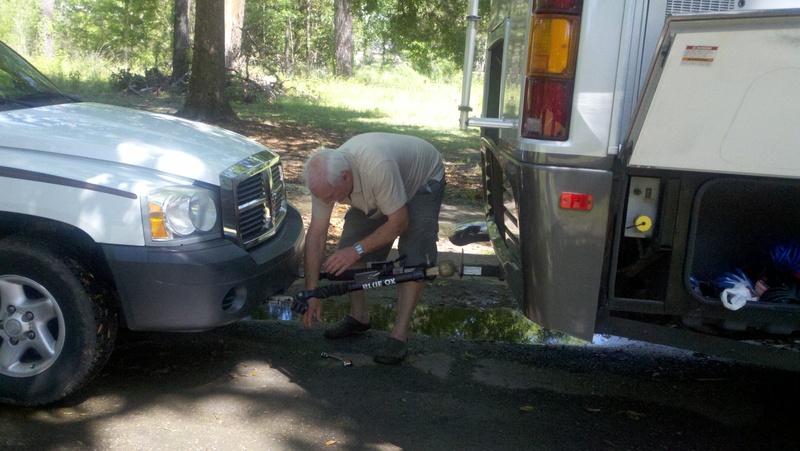 The people around us were very friendly and we met a real nice couple from Abita Springs, Leroy and Judy. They had a Fleetwood Excursion like ours but a year newer. 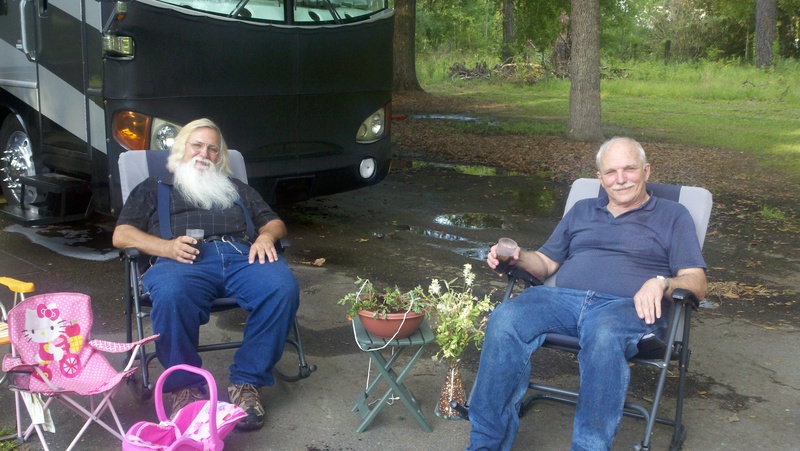 We enjoyed visiting with them outside their RV. Roy saw the headboard Leroy made for their bed and told me about it. I’ve been wanting a headboard for our RV bed and theirs sounds perfect so add one more thing to Roy’s long to do list! When he makes it I’ll post pictures for others that might want to do the same. We received complimentary buffet tickets to the Hard Rock Casino’s Buffet on the Biloxi Gulf Coast. It was like a magnificent feast! We ate Alaskan King Crabs, boiled and fried shrimp, shrimp salad, fried fish, ribs, turnip greens, and the most scrumptious desserts. Of course you have to walk through the casino to get to the buffet. People were smoking all over the place and the droan of sounds coming from all the slot machines were kind of mesmerizing. We decided to try a couple of penny slot machines and found out they are not just 1 cent, but 50 cents each turn. $5 was gone within a minute or two. The next $5 resulted in us winning $20.50 so we left ahead. I can see how it would be very easy for people to get sucked in and lose a lot. Between the mega decibels of noise and the smoke in the air I was very ready to get out of there quickly after we pigged out at the buffet. The rain poured down and the wind was very strong this morning and for a long time we thought we’d be stranded there. Oh what a shame that would be to be stranded on the Mississippi Gulf Coast near the beach. Around noon the sun came shining through and we started getting ready to head out. I took these pictures after the storm and you’ll see some of the standing water in the pictures. We didn’t take pictures of the back part of the campground near the river but there were beautiful, nicely spaced spots for all size motor homes, 5th wheels and campers. I’ve been looking into the Minnesota Twins MLB team and hope we can see them play while we’re up there. I don’t mind supporting them but cannot imagine being anything other than a New Orleans Saint’s fan, no matter what the hometown football team is in Minnesota. We have our address in Minnesota and it will be: 10176 Bay Club Drive, Kabetogama, MN 56669. Still not sure how exactly to pronounce Kabetogama but I’m sure we’ll get good at it before long. It’s near International Falls, MN. If anyone knows of a good church near there, please let us know. I’ve made a list of everything I can think of that I need to take care of within the next two weeks and have prioritized it by day. I’ve completed my two things for today so I’m off to a good start. I organized the storage areas to make room for the BBQ pit and TV we will buy before we leave for our outside entertainment. I also created business cards to take with us and give to people we meet. Roy has a list of sorts and will complete things in his own manner. He doesn’t like the same kind of list I need but we will both get our assigned work done by our departure date. He had to turn down the opportunity to take care of Madisyn tomorrow which just killed him. The things on his schedule for tomorrow are just must do things and things he can’t do with a four year old around. Hopefully we’ll get to spend plenty of time with her before we leave. Getting Skype set up on our computers is on Roy’s to do list and will help us stay in touch with family back home. Our real estate agent said the couple that came on Saturday really liked our house and it made their finalist list. Hopefully we’ll hear something soon! I have 10 more work days until I retire! Of course we’ll still be working but it won’t be the same and I can’t wait! I will miss my coworkers deeply and hope we can stay connected. Since we all work for the Office of Technology at Southeastern we ought to be able to manage that! 04.13.13 First weekend camping experience……. 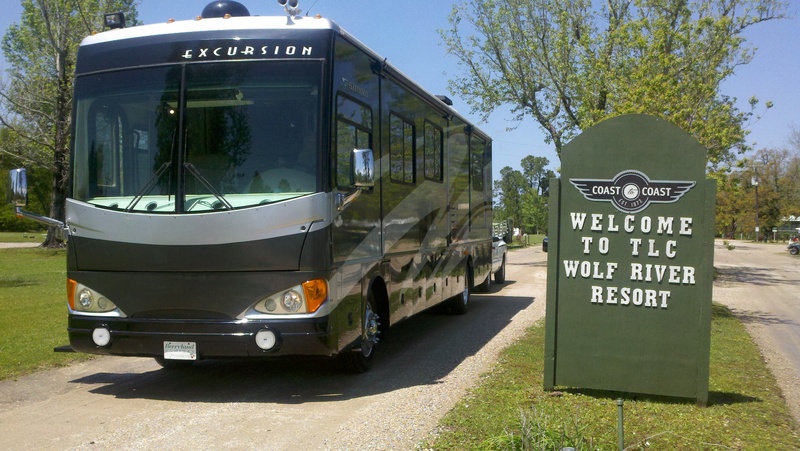 We’re camping for the weekend at Wolf River Resort in Pass Christian MS. This is our first experience just by ourselves and so far we’re really enjoying it. I’ve noticed some differences in being here and living in our driveway and wanted to start off by sharing those. The difference between sitting in our driveway and looking out the windows, or sitting outside here at the RV campground and watching people ride bike or walk their dogs or sit outside playing cars, is like dull vs. refreshing! Yes we’ve been full time RVing since November but this is really the first time Roy and I have been away by ourselves to experience REAL full time RVing. We’re using someone else’s electricity so opening the screen door and the windows while the air is running is okay. I wouldn’t want to do too much of that when we’re using our employers electricity but at any other campground that would be okay. I know it’s not ecologically correct but having been brought up to turn every light out when not in use, this is a little taste of freedom! There is nothing I NEED to be doing. I’ve always felt I couldn’t rest or relax when there were things that NEEDED to be done. While living in the driveway, there was always the house or the garage that needed something to be accomplished to get everything sold or the house kept in order to show if anyone wanted to see it! Here there is only the choice between staying inside and resting or piddling and going outside and watching or going around and taking in the sights. None of which has to be done so I can finally relax. Roy says he feels the same way. This morning I woke up and heard something outside and saw Roy’s side of the bed was empty so I thought he must have gotten up and gone outside to do something. I got up and found him asleep on the sofa. I realized that living in the driveway I’ve grown so use to knowing that if I heard a sound outside it was him. Now it could also be someone else that’s parked near us, and it was. That may sound very minor but in our little world it’s not! We’re also use to being the only ones who can hear us talking when parked in our driveway. Now we’re parked near, while not next to, other RVs and those people can hear us. That one will take some getting use to because our private conversations after 40 years of marriage are unique and not necessarily for the outside world to hear! Those are a few of the differences we’ve noticed first off. I’m sure there will be many more as we experience more of this real RV full timing! Some have asked us what our winter plans are after leaving Minnesota. There is nothing specific planned yet but we will be applying to Disneyworld and Disneyland and other deep south campgrounds and resorts for the winter months. If our house sells we’ll be able to be open up our working opportunities because of not needing the additional income, just wanting an RV site. We would hope to pass through Louisiana around Thanksgiving or Christmas to be with family and see our friends and church friends. I’ll be applying for those jobs soon since when they start hiring for winter and will post when we have something lined up. Disneyworld is our preference. Yesterday evening we had our first experience broadening our horizons outside of our lifetime of living in southern Louisiana. We went to the Wal-Mart on the Gulf Cost and it was ON THE BEACH! 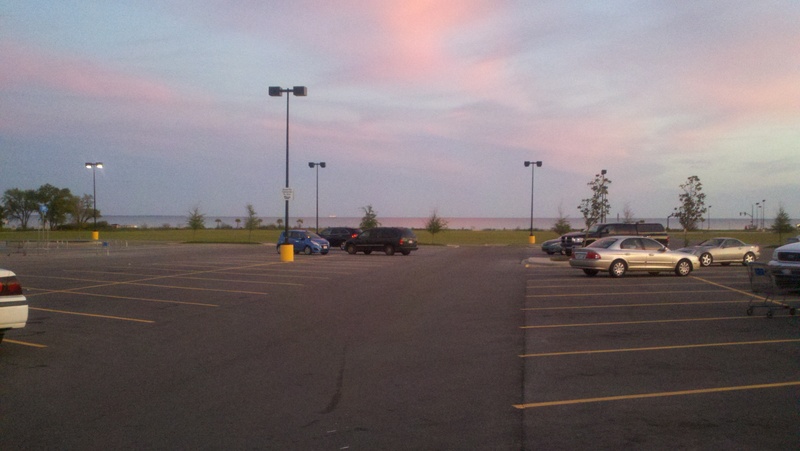 Seeing the beach in front of us when walking out the store door was amazing so I took a picture. The sky was a brilliant blue and pink and the picture doesn’t nearly capture the depth of the colors. This store is a super duper mega Wal-Mart, nothing like our little Hammond store which I always thought was a big one. On the mayonnaise aisle just in the Hellman’s brand they had 8 different varieties. We were like country bumpkins let loose in the big city. If seeing a different Wal-Mart is a neat experience can you imagine what seeing the Grand Canyon will be like. What sheltered lives we’ve led! Time for me to get out of here and enjoy the beautiful outside life around here. There have been so many thoughts I wanted to share that I had to get them down while they were fresh. I’ll write more later. I’m including one picture of Roy actually hooking up Boots to Dora for the first time getting ready to take him on his maiden voyage. I took a bunch more pictures of Roy hooking up Boots behind Dora and he promises me he’ll dictate (notice I didn’t say he’d write it) a blog about all he did to Boots to ready him for the experience ahead of us. When that day comes the pictures will help tell that story much better. I truly hope everyone is having a warm clear day and enjoying it to its fullest like we are! 04.10.13 Northward bound to live in Minnesota! Big News! Not that we haven’t been planning for this forever and ever and ever but finally the moment has arrived, well soon anyway! No we haven’t sold the house. However, Dora, Boots and the Explorers (Roy and Rosalyn) will be heading north on April 30th or May 1st to LIVE and WORK at Northern Lights Resort in northern Minnesota on the Canada border. We’ll begin work between May 8th and May 15th and work until October 1st before the snow starts falling! We got a workamping job there where they will pay us salary plus a full hook up RV site. This is from the Northern Lights Resort home page “Our beautiful family-friendly cabin resort is surrounded by wilderness in a secluded bay on 16 acres, with nearly ¼ mile of shoreline. Lake Kabetogama (Ka-be-tow-ga-ma) is one of a chain of wilderness Border Lakes with majestic scenery and part of Voyageurs National Park on the Minnesota, Ontario border. Northern Lights Resort (NLRO) is just a few miles from the Canada border and we will be able to see the Northern Lights (Aurora Borealis) from there. Roy’s always wanted to see that. They say it can be seen 200 times during the year. Sure hope that’s while we’re there! When we got the job offer call from them this morning I had to repress a big scream of happiness but turning my resignation in this morning was rough. My boss Donna is my dearest friend and while I know she’s personally happy for us she’s not wanting to lose an employee. I’ll be starting the retirement paperwork in the morning, with April 26th being my last work day. We’ve retired one time before about 7 years ago but certainly didn’t move out of town much less 1,450 miles away! That retirement lasted two years, let’s see how long we can make this one last! We’re hoping to spend plenty of time with out little Madisyn before we go and she’s coming to spend the night tonight and play with Paw Paw while Grannie goes to work in the morning. 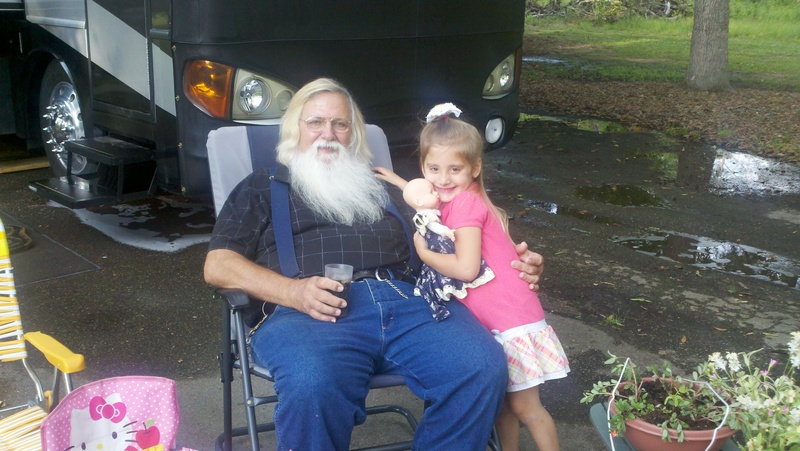 Paw Paw has all the fun! Then we’re headed to Pass Christian for a little taste of RV traveling life and will be staying in an RV park there not too far from the coast. First time we’ll be taking Boots our toad on the road and I’m hoping for a good experience with that. Don’t know how much posting I’ll be able to do now that we know crunch time is here but I know we’ll be posting about our travels through the US towards Minnesota. If anyone has suggestions for RV parks along that route, please lt us know! 04.07.13 Computer sale – BUST!, Workamping change……………. Well, the final garage sale did not go as planned. 😦 We sold very little actual computer related items. Several other items we dug up to sell but not the computer stuff. A friend of ours bought a computer but no one else did. Not one computer knowledgeable person came to the sale which was odd because we invited a lot including local computer repair companies. The amount of parts that Roy had was tremendous and would have been a great buy for anyone doing that. Oh well, guess Good Will will get a great donation. Liz did great selling her stuff so at least there’s an upside to the day! And we got to play with Madisyn a lot while we were waiting for people to come and that certainly make any bad day into a good day! At least, the weather was beautiful and we enjoyed resting in our rockers. I got to show our house to someone yesterday. She didn’t know how much the rent was when she stopped and asked to see it but she loved it. Haven’t heard from her so the rent was probably too high but it was really nice to get to walk someone through our house and enjoy their reaction to the beauty of it. One day someone else will get to live there! We’ve determined that if we are willing to work 32-35 hours a week we can go ahead and start our adventure. We’ve updated our workamping resume to include Roy and all the great things he can do. We are sending it to employers who are looking for someone to work more than the original 20 hours we thought we’d work. 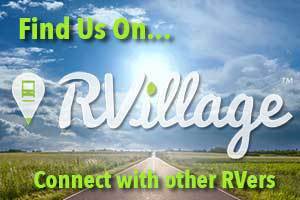 Some employers pay you for the hours you work and give you a free RV site, so those are the ones we are targeting. We would keep the house on the market until it does sell and then we can move down to a 20 hour a week position somewhere or one that just gives you a free site for under 20 hours worked. That’s the real goal but since we need the money from the house sale we can’t get there quite yet! We’ve seen some jobs in Wyoming, Idaho and Colorado and wouldn’t that be so cool to be in that area of the country during the hot summer months! When it got up to 80 degrees recently we just knew it was getting close to time to be up north and possibly soon we will be! We’re heading to Pass Christian next Friday for a weekend stay at Wolf River RV park. Can’t wait!